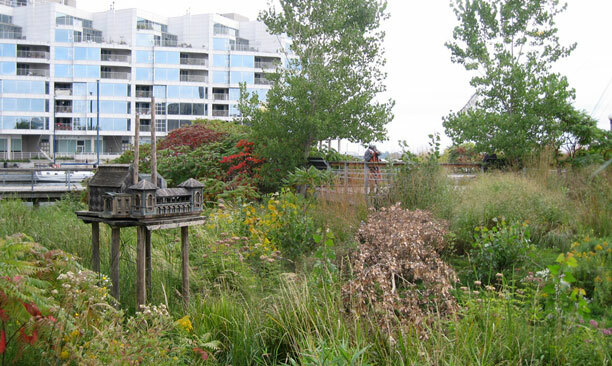 Spadina Quay Wetland - PMA Landscape Architects Ltd. The Quay Wetland forms an integral component of the Harbourfront Vision and Toronto’s waterfront. 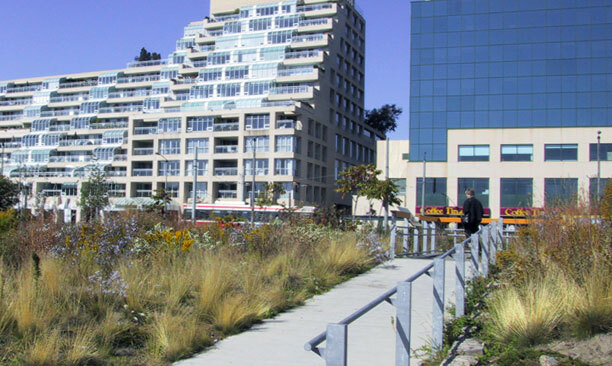 PMA Landscape Architects designed enhancements to the Spadina Quay Wetland, concentrating on the integration of new plantings, soil remediation, and improvements to some of the built components such as railings, decks and stone work. The objective was to raise the aesthetic quality of the site while maintaining its purpose as a native demonstration garden. 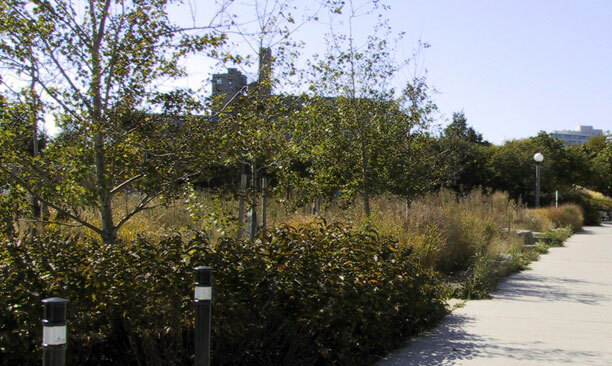 The park consists of a viewing platform, seating areas, a dry-river bed, and random stone spadina quay wetland Harbourfront, Toronto, Ontario pathways that weave among the naturalized plantings. Providing narrative and description of the wetland, a series of colourful signage panels were incorporated into the viewing platform. The wetland constantly fluctuates depending on the level of the lake, as water enters from two points of the site. 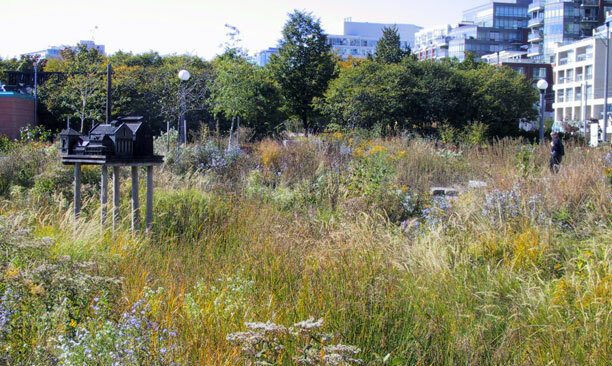 The Spadina Quay Wetland demonstrates how a brownfield site can be regenerated into a functional wildlife habitat, a biologically diverse area, as well as an attractive public park.